Introducing sustainable nutrition and three reasons for addressing nutrition; nutrition is protective of health, performance, and vanity reasons. In part 2, we define quality foods as foods that contain one ingredient, spoil within two weeks, and are high in vitamins and minerals. We also introduce the rule of 90/10, where 10% of your weekly intake can come from foods with less than ideal quality. Download a list of FTW Superfoods below. 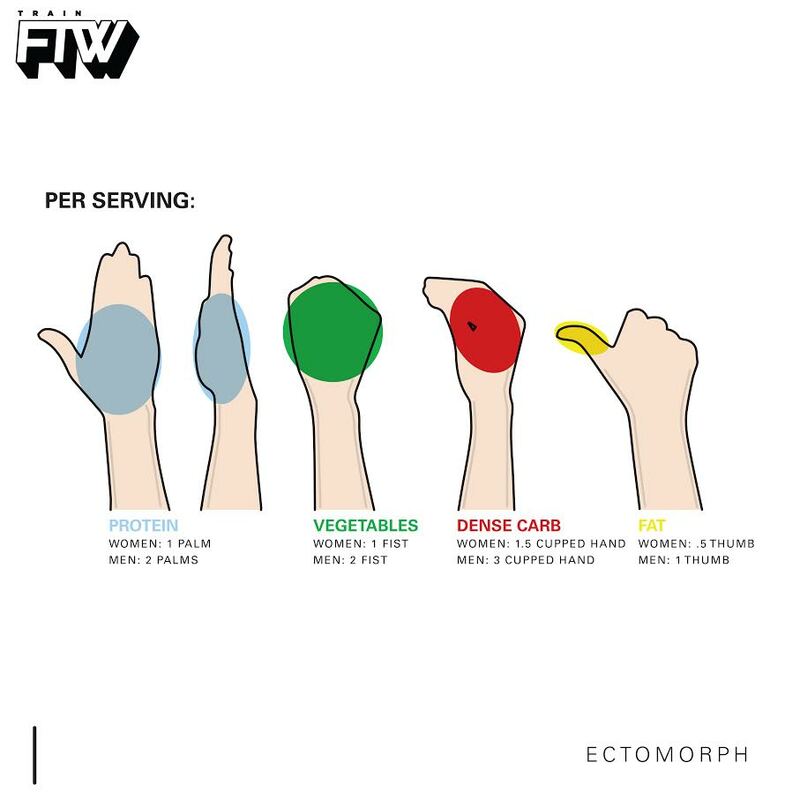 Using your hand as a measurement tool to quantify your food intake. This is a general prescription, a starting point if you will, for someone who is active and relatively fit. In Part 3, Quantity Control, we stated that males should have 2 palms of protein, 2 fists of veggies, 2 cupped hands of dense carbs, and 2 thumbs of fat at each meal. The females would have 1 palm of protein, 1 fist of veggies, 1 cupped hands of dense carbs, and 1 thumb of fat at each meal. In this video, we give more insight as to what qualifies as a dense carbohydrate. In this video, we offer a way of calculating macronutrient intake in your post workout shake. This is simply a baseline quantity and can be changed in order to achieve specific goals. These amounts should be tested and altered based on body composition goals, performance goals, and how you feel. Find success with each for one week prior to advancing to the next. The physiology of each person's body is slightly different, demanding a different nutrition prescription. In this video we introduce a prescription for an ectomorphic body type (I) and a prescription for an endomorphic body type (O). In part 7, we introduce five supplements we have found to be beneficial for many of the clients we work with. We recommend introducing only one per week, to isolate the body's reaction to each newly introduced supplement and dosage.